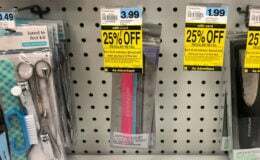 New B3G1 Renuzit Adjustables Coupon – $0.64 at Target, $0.66 at ShopRite & More! 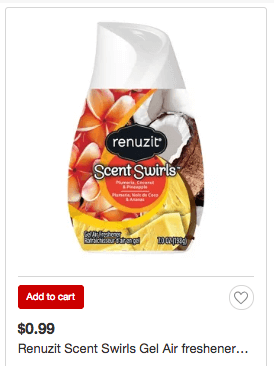 Target sells the Renuzit Adjustables for $0.99 and there is a 10% off Renuzit Air Fresheners, Target Cartwheel Offer, exp 9/15/18 available making these just $0.64 each after stacked offers when you buy 4. 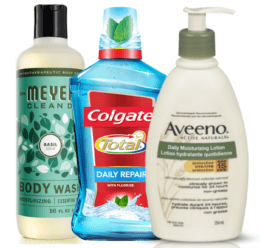 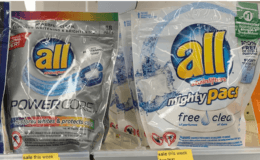 Walgreens Points Booster – $0.74 Venus Razors, Softsoap Hand Soap & More!